The Easiest Face Cleansing Method, Ever! Everyone needs to wash their face, right? But not everyone’s face washing needs are the same, especially as we get older. Enter an amazing method of cleansing your face that will #1) save you some dough and #2) make you wonder why you didn’t do this sooner and #3) is suited for pretty much everyone. A little background: One of my facebook friends, a DUDE!, posted his method for cleansing his face (someone else had shared it with him) on his wall. I was intrigued because he’s an avid runner like me and well, let’s be honest, when you train for marathons one’s face takes all sorts of abuse from copious sweat, sun, dirt and oil. Like I said, I was intrigued. Sam’s method was shared from a site called Simple Mom. 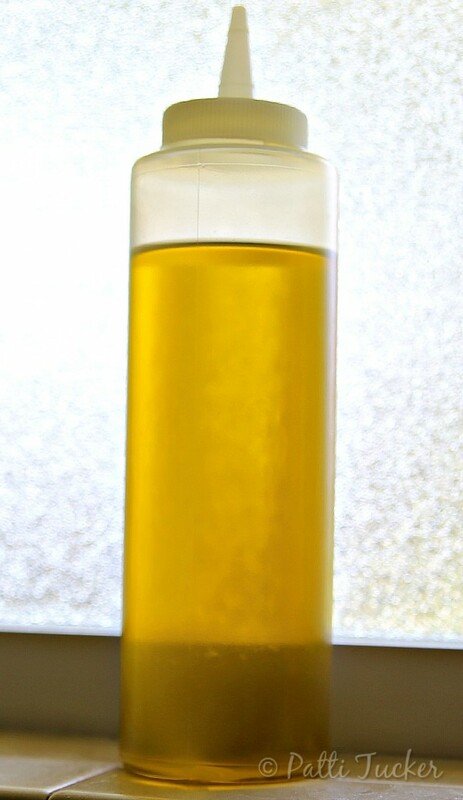 The basic recipe: Mix a good quality olive oil with castor oil and wash yo face! If you want to read the entire post, click over to SimpleMom.net (as of 8-14-14, looks like this is no longer a valid website, so you will have to take my word for it). She tells you the science behind the method and why it works. Shake together in a bottle. I do this only once a day, in the evening, but know some of you will do it morning and evening. After I wash my face I also use a tiny bit of coconut oil to moisturize. So amazing. My face tends to be on the dry side, until I run in the crazy heat and humidity, and that’s why I only do this routine in the evening. In the morning, I merely splash my face with cold water (been doing that part for years, even with my old method), pat dry and moisturize with a bit of coconut oil. EASY! 1) My face is amazingly softer and dare I say brighter…like from the inside out. 2) Fewer noticeable wrinkles. No lie. Even the ones that are already there seem less than somehow. 3) My face feels clean, not stripped and tight. 4) It removes make-up better than my cold cream did, even mascara. BAM! 5) The coconut oil moisturizer is the icing on the deliciously clean cake. You can buy castor oil at your local drug store, or ORDER HERE. Not only will your face benefit from this face cleansing method, so will your bank account. While I still have a facial scrub in the shower that gets used occasionally, I haven’t bought any face cleansers since starting this regime, nor will I. It’s that good. And inexpensive, not to mention all natural! It’s a WIN! all the way around. I will say this, you need to find the correct proportions of the castor oil and olive oil for your skin type. I started with a 50/50 mix and found I was breaking out, so I went with less oil (1/3rd) and more castor oil (2/3rds). Experiment to find your face’s happy place. I use a repurposed bottle to store my cleanser in and pour some out onto my fingers to massage into my face, but Simple Mom uses a mason jar and dips her fingers. Do what works for you. I know this sounds way too good to be true, but for once, it isn’t. Even if you doubt me, wait, YOU DOUBT ME? !, you could still try it for a month or two (I am going on a few months because I wanted to be sure it worked before I shared it with you) and make up your own mind. I love anything that makes my life easier and saves me some cash while providing an all natural solution that actually works. Gotta give this a try! Thanks! I was such a skeptic at first, particularly because I’m a runner and need something that works, but I’m telling you guys, I’ve been doing this two months (had to fiddle with my proportions) and I’ll never go back to store bought. I have been using coconut oil for a while now as a moisturizer. I will have to try the olive oil/castor oil cleanser and see if it works for me. Thanks for the info! I started using coconut oil as a moisturizer after Sweet E was born and Girl introduced me to it. It’s so light and amazing. Glad to pass along the other info! Anything that saves us money and works is always on my radar to try. IF you have dry spots and just want a great light moisturizer, use coconut oil. Trust me on this. It’s wonderful. Concerning the cleanser, the castor oil is the substance that breaks up the dirt and oil and the olive oil is the “let’s move this off your face” agent. I hope you have good luck with it. I certainly am (I also use coconut oil as a moisturizer). So easy that I’m going to have to try this!! I’m so glad we found you! Thanks for linking up with us at One Sharendipity Place! “Pinned” this to our favorites! I love this method so much. It’s definitely worth the try. I’ve been doing this for almost a year now and it’s amazing! I have acne-prone skin, so I use 2/3 to 3/4 castor oil and the rest olive oil, and I only use it every other night, and it works great! In the morning or on the opposite nights I just splash some water on my face. Easiest face care routine ever and my skin looks great! Oooo, thank you for letting us know about your success with this method (I knew there were more of us out there!). The method of using oil seems so counter-intuitive to many, so the more voices of those who use this method, the better! Thank you! I absolutely LOVE coconut oil as a moisturizer. I will be trying this homemade cleanser soon! Found you over on Watch Out, Martha’s linky party. I hope you love it as much as the coconut oil. I can’t say enough good about this method. Was so enthused w/this that I forgot to tell you I’m here from the Grand Social Hop. I loved reading this! I hope you love it as much as I do. My skin is especially dry since I am old as dirt. I am going to use this anywhere I can put it. Maybe instead of soap or body wash. Great post. LOL! Also try coconut oil as a moisturizer. Bonus: you’ll smell like a tropical vacation year-round! Pretty interesting! I, too, thought castor oil was no longer available. I’m a Dove girl myself… the old-fashioned bar soap. Yes, on my face. But this sounds like something I’d like to try. Thanks for sharing! I run in the South Texas heat and this method has been a revelation to me. I still use a scrub at times, but the oil method is all I do otherwise and my skin looks and feels great. You and your post from last week have absolutely won us over, and we’ll be featuring it this weekend at One Sharendipity Place!! Wow! Best comment of the day! Thank you. Love this idea! I have used both coconut oil and olive oil as moisturizers and love them. I love the way my skin is not stripped after cleaning, but soft (yet not oily/greasy). I wish I had found this method when I was in my 20s. Thanks so much for sharing with Adorned From Above’s Blog Hop. We always love seeing everyone’s posts. Have a great week and here is this weeks party has started.